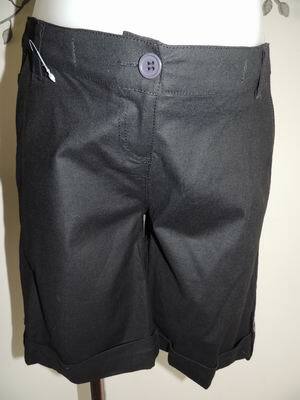 These shorts have a tailored feel, in lovely black cotton linen, and cuffs complete with tab and button. They also feature back pockets with flaps and buttons, flat hip pockets and front zip, along with belt tabs. They have a hidden adjustable elastic in the waistband so you can adjust them throughout your pregnancy. Be the first to review “NEW Black Cuffed Linen Maternity Shorts” Click here to cancel reply.